The game sees players collecting dinosaurs, and taking them into story-based or multiplayer battles. Social and mobile game company Ludia has announced the release of Jurassic World: The Game on iOS devices. Based on the Jurassic World film set to hit theaters on June 12, 2015, the game takes players to Isla Nublar, where they’ll collect more than 50 dinosaur species, and take them into battle against other dinosaurs. Led by Owen Grady, Claire Dearing and other characters from the film, players will build and expand their Jurassic World park by constructing habitats for their dinosaurs, as well as decorations and coin production buildings. Players progress by balancing the use of key resources, including food, DNA and coins. Gamers can spend their coins on food, which is then used to strengthen and level up each individual dinosaur. Once two matching dinosaurs reach their level caps, players can combine them into an evolved dinosaur of a higher level. Once players have collected a few dinosaurs, they can tackle level-based or multiplayer battles. Combat is turn-based, and sees players spending a limited number of action points on each turn. These points can be spent to either attack or defend, or strategically stored to be spent on the next turn on stronger actions. Once used in battle, dinosaurs need time to rest before they can be used again. Gamers are led through the game by a series of quests, with card packs helping them along the way. Standard card packs are available for free every few hours, and include items like coins or food, as well as the occasional dinosaur or special quest. In addition, premium card packs are available for in-app purchase, and contain special dinosaurs, with the price of the pack determining the rarity of the contents. Many of the game’s actions take time to complete, but players can skip these timers using premium currency. Meanwhile, DNA can be used to purchase dinosaurs outright from the store. Players earn DNA in multiple ways, from completing quests to selling excess dinosaurs from crowded habitats, as examples. Finally, the game connects to Hasbro’s real-world Brawlasaurs toys, as players can scan their toys and bring them to life for in-game battles. The Ludia team is thrilled to once again be part of the Jurassic Park franchise by bringing Jurassic World: The Game to mobile platforms. Fans are in for quite a ride as their building and battling skills are sure to be put to the test. We have created a unique experience that truly showcases Ludia’s growing expertise in mobile gaming development, as we are a clear leader in this sector. 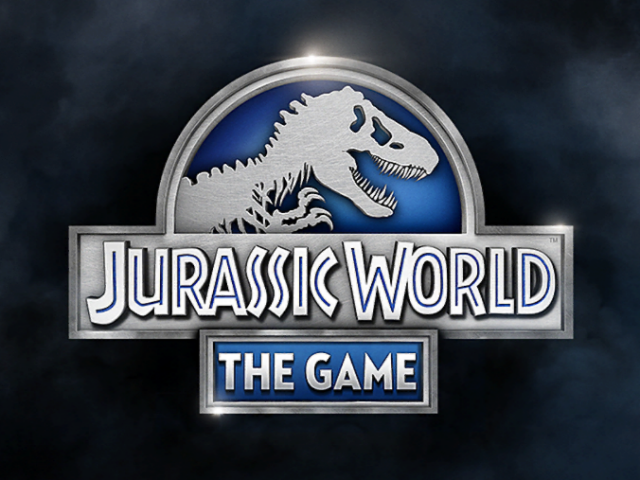 Jurassic World: The Game is available to download for free on the iTunes App Store.